GEMS gets behind Human Rights Walk On Sunday, 24 April 2016, hundreds of South Africans will take to the streets of Johannesburg for the Human Rights Walk at Constitution Hill, in celebration of twenty years of the Constitution of the Republic of South Africa. For the third year running, Constitution Hill is hosting the five-kilometre and eight-kilometre Human Rights Walk in partnership with the Government Employees Medical Scheme (GEMS) and the City of Johannesburg. The rich history of Constitution Hill, its achievements as a national heritage site, and all those who served in the struggle for our constitutional democracy will be honoured in the event, which is expected to draw a lively crowd, all walking in the name of human rights and freedom. The Human Rights Walk is titled the ‘We, The People Walk’, from the preamble of The Constitution, and takes place in and around the bustling and trendy area of Braamfontein this coming Sunday, three days before Freedom Day, from 8am to 12.30pm. Catering for children under 12, there is a special ‘We, the Children Walk’, which promises a full day of family fun. “Apart from being a healthy, and fun-filled family activity, which we support wholeheartedly, it is also a symbolic and meaningful occasion for the people of Johannesburg and surrounding areas,” says Executive of Communications and Member Affairs of GEMS, Liziwe Nkonyana. “With the walk we aim to honour the people who were integral in the development of our Constitution during the formative years of our young democracy. We also celebrate the establishment of Constitution Hill, which has become so much more than just an important landmark.” Nkonyana adds that GEMS is proud to be part of what is a highly significant event commemorating 22 years of democracy and 40 years since the June 16 student uprisings and Freedom Day. “At GEMS we are focused on the unique needs of our members and are mindful that healthcare is one of the basic human rights . . .
Medical history was made in KwaZulu-Natal late last week with the first ever use of a state-of-the-art robotic surgical system at Netcare Umhlanga Hospital near Durban. 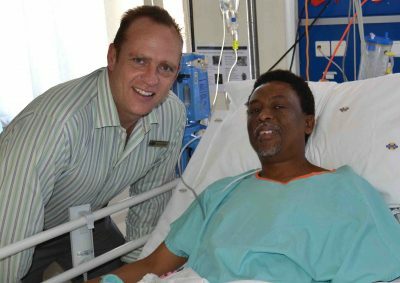 During the historical procedure, 50-year-old Bheki Mdlalose of Durban successfully underwent a robotic-assisted prostatectomy to remove his cancerous prostate. “Such has been the success of Netcare’s introduction of the da Vinci Si robotic surgical system in Johannesburg and Cape Town that Netcare regarded it as critically important to also introduce the sophisticated robotic technology in KwaZulu-Natal to meet the demand for this type of procedure from doctors and patients in the province,” says Jacques du Plessis, managing director of Netcare’s hospital division. Du Plessis says the procedure was performed by renowned urologist, Dr Marius Conradie, who has performed numerous robotic-assisted surgical procedures, and travelled from Johannesburg to collaborate with his peers to undertake the procedure at Netcare Umhlanga Hospital. Mr Mdlalose, who hails from KwaMashu near Durban, is recovering well and reportedly in good spirits after the prostatectomy. 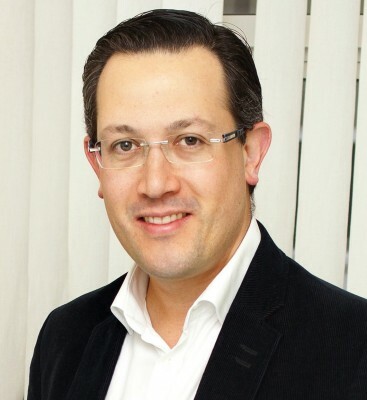 According to the general manager of Netcare Umhlanga Hospital, Marc van Heerden, more patients have already been scheduled to undergo the same procedure with the assistance of the new system. The da Vinci robotic technology is designed to assist surgeons in performing intricate procedures, such as a prostatectomy, with a much greater degree of accuracy and fewer side effects than can be achieved with traditional open or laparoscopic surgery. “Netcare introduced da Vinci Si robotic technology at Netcare Waterfall City Hospital in Midrand and Netcare Christiaan Barnard Memorial Hospital in Cape Town in mid-2014. Over 360 prostatectomies using the robotic- technology have already been performed at these two hospitals,” notes Du Plessis. “Urologists trained in robotic-assisted surgery have also used this cutting-edge technology to perform a number of . . . In June 2015, Frank Graewe, a renowned reconstructive and micro-surgeon, teamed up with the World Craniofacial Foundation and Smile Foundation SA to perform life changing surgery for two young girls who suffered serious skull defects. Almost a year later, both girls are back in South Africa for their final surgery. Grace, an eight-year-old from Zambia, received ground-breaking surgery last year at Tygerberg Hospital to correct a major skull defect by utilising 3D technology and bioengineered bone. The surgical team included USA based Dr Ken Salyer, the Chairman of the World Craniofacial Foundation – who travelled to South Africa to work together with the local team. Ten months post the completed bone graft, CT scans show that there is bone regeneration on her skull – a positive sign that the bioengineered bone is doing its job. “We usually expect the full bone regeneration to take about two years, so we are very positive about Grace’s progress so far”, says Graewe. Grace’s second surgery took place on the 12th of April and involved reconstructive surgery to correct the placement of Grace’s eye-sockets and her nose. “Grace’s condition resulted in her eyes being too far apart, we corrected this and also reconstructed her nose by using cartilage harvested from her ribcage” says Graewe, “we’re very happy with her results and we don’t expect that any more surgeries will be needed for Grace at this stage”. 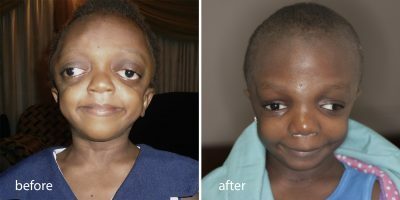 Akikere, a seven-year-old from Nigeria, suffers from Crouzon Syndrome and before her surgery last year, she suffered from right-side heart failure as a result of the respiratory problems often seen in Crouzon cases. In 2015, Graewe and Salyer detached Akikere’s mid-face and forehead from the skull, and implanted “distractors”, which would gradually push her face forward over time and therefore assist her breathing problems. Ten months later, not only have Akikere’s distractors have been removed, she is also now off all heart medication and her paediatric . . .
1 April forever etched in Mitzi’s memory as the day everyone rallied together to help her cheat death 1 April will be forever etched in the memory of 55-year-old Mitzi Hazell of Inchanga in Kwazulu-Natal as the day her neighbours and a team of doctors rallied around her to help her cheat death. After a harrowing encounter with a 2.2 meter long black mamba, which bit her last Friday, a grateful Mitzi is counting her blessings as she talks about the incident from her hospital bed in the intensive care unit at Durban’s Netcare St Augustine’s Hospital, where she is receiving treatment. She is clear about one thing: had it not been for the support of her neighbours and the expertise of seasoned trauma doctor, Dr Kevin McEwen, she would not have been around to tell her story. 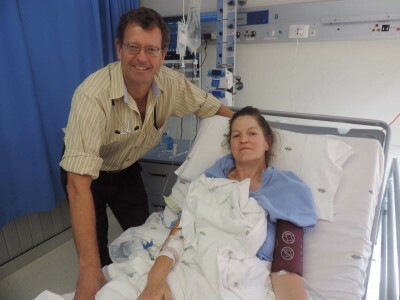 “Dr McEwen’s expertise and knowledge in snake bites saved my life, as did my wonderful neighbours who made sure I got to the hospital in a remarkable nine minutes. Our home in the Inchanga Conservancy, close to Hammersdale, is about 40 kilometres away from the hospital and ordinarily the journey would have taken around 40 minutes, time I did not have,” she recalls. It was the second time in less than a week that neighbour, Elthea Coffee, stepped in to help get Mitzi to hospital following an encounter with a Mozambican spitting cobra. The Saturday before, Mitzi came face-to-face with a spitting cobra. On that occasion Elthea took her to the local hospital to have her eyes flushed and treated to prevent blindness after the snake spat venom into her eyes. This time around Mitzi was checking on her prized show rabbits when she came across the highly aggressive 2.2 metre long black mamba, one of the deadliest snakes in the world, which bit her on the leg. The snake had seemingly slid into the rabbit enclosure for a little shade on a hot, 35?C day. Elthea once again loaded Mitzi in her car, this time taking her to Netcare St Augustine’s Hospital, the closest medical facility equipped to . . .
Disabled teen benefits from gift of motorised wheelchair Every morning 14-year-old Lindokwakhe Vilakati, who suffers from muscular dystrophy, has had to be carried to his chair at school by his father, where he had to stay until his dad returned from work to pick him up. Muscular dystrophy is a degenerative hereditary disease characterised by progressive weakening and wasting away of the muscles. Lindokwahe’s condition has rendered him completely immobile and proved a considerable challenge for the Vilakati family, who have not been able to afford a wheelchair for the youngster and have always had to carry him to wherever he had to go. This, however, all changed last Thursday with the donation of an electric motorised wheelchair to Lindokwakhe from ’good Samaritans’, Herman and Chantal Sauerman of Johannesburg, whose son Brady suffers from the same debilitating medical condition. 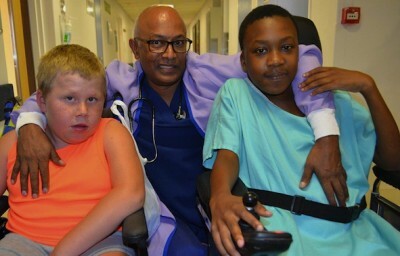 After being taught by the Sauerman family how to operate the chair, Lindokwakhe, who hails from Swaziland, was soon whizzing up and down the corridors of Netcare Sunninghill Hospital, where he was admitted last week for treatment for congestive heart failure, which is often a complication of advanced muscular dystrophy. “I don’t think that there was a single dry eye among the doctors and hospital staff who witnessed the handover of the wheelchair to Lindokwakhe,” says paediatric cardiologist, Dr Kenny Govendrageloo, who practises at the hospital and has been involved in the medical care of both boys. “It was an incredibly moving occasion. Lindokwarhe and his mother, Sitakele Vilakati, were delighted with the life-changing donation, which will give the young man much greater freedom of movement and independence.” Dr Govendrageloo explains that Brady Sauerman, who is one of his outpatients, was taken to Netcare Sunninghill Hospital by his parents for a check-up late last week. “At the time I mentioned to Brady’s parents that a boy from Swaziland was also being treated at the . . . Celebrate National Nutrition Month by making small changes that will lead to big improvements. Groupon have amazing health and fitness deals that won’t break the bank and that will get you on the right track. Have a look here: Cape Town One or Two-Month Studio Gym Membership from R199 with FitKey (Up to 63% Off) FitKey is an app that gives you access to a variety of fitness classes at different gyms and studios such as Yoga, Pilates, Crossfit, and bootcamp. The app can be downloaded from the Google Play Store or iStore using your smartphone. Read more about it here: https://www.groupon.co.za/deals/fitkey-1 Training Memberships for Japanese Sword Fighting from R140 with the South African Kendo Federation (Up to 70% Off) Aspiring fighters choose a dojo and get themselves up to three months of training, two or three times a week, designed to teach them the art of Japanese sword fighting. Martial artists choose from six dojos to complete their training, with class times and schedules varying from dojo to dojo. Read more here: https://www.groupon.co.za/deals/south-african-kendo-federation-2-2 Online Personalised Eating Plan for Weight-Loss, Health and Energy for R150 (74% Off) Get slim with a Personalised Eating Plan for Weight Loss, Health and Wellness, Energy and Vitality. Developed around the key principle of nourishing your body every three to four hours with balanced, nutritious meals, the Eating Plan uses your BMI to create a eating plan to help you lose or maintain weight. Read more here: https://www.groupon.co.za/deals/eating-plans-co-za-3 Johannesburg: One-Month Gym Membership with Personal Training Session from R149 at Elite Personal Trainers (Up to 89% Off) Get fit with a one month gym membership and personal training sessions at Elite Personal Trainers SA. With a choice of one, eight, twelve or sixteen one-on-one personal training sessions per month, clients will be put through the . . .
What is the reason you don’t feel amazing right now? Is it because you are you tired a lot of the time? Stressed out? Are you overweight? Moody? Battling to get enough sleep? It really doesn’t have to be this way. 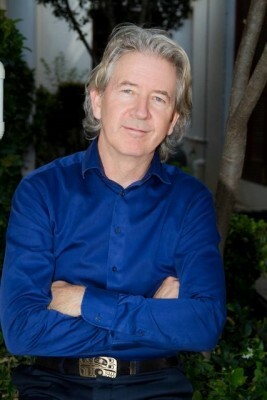 One of the world’s leading nutritional experts, Patrick Holford, will be presenting in-depth health seminars in Cape Town, Port Elizabeth, Durban and Johannesburg between 9 and 12 May. He will show you a simple way to get 100% motivated to reclaim your energy, shift that weight for good, reduce stress and feel better than you have in years. From the seminar, you will find out how to: Eat a wide range of delicious foods and still lose weight Regain your energy and zest for life Improve your mood and mental alertness Increase your resilience to stress Break free from anxiety and poor sleep Dramatically decrease your risk for diabetes, heart disease and cancer Don't miss this unique opportunity to meet Patrick and his team of zest4life coaches who will help you to find your motivation again, transform your life and take control of your health. Bookings online at https://www.quicket.co.za/events/?search=Patrick%20Holford. For further information, visit http://www.holforddirect.co.za/patrick-holfords-feel-amazing-right-now-tour/. YouTube: https://youtu.be/IeIqZ81jCQs CLICK HERE to submit your press release to MyPR.co.za. . . .
‘Most parents underestimate the importance of learning CPR’ Many parents underestimate the importance of learning basic cardiopulmonary resuscitation (CPR) and first aid, says Richards Bay mother Amanda Kruger, as she recalls the traumatic near-drowning of her son, Juandre, five months ago. “Knowing how to perform CPR and first aid is very important. I always thought that I would not need it and that bad things would not happen to me, but after pulling my son out of the swimming pool and knowing there was nothing I could do for him but pray, I now know differently. I will never forget that feeling of total helplessness,” Kruger says. “When I saw Juandre in the swimming pool, I kept hoping that he was okay, even though he was already floating face-down in the water. When I pulled him out, his eyes were big, his lips and the bottom of his feet were blue – he was effectively dead. Miraculously he made it and today, five months later he has completely recovered.” Kruger says the four-year-old is back to his old self, despite doctors fearing the worst and initial scans showing brain damage. Nowadays Juandre is eating normally, talking again and his personality is the same as it was prior to the near-drowning. She attributes Juandre’s ultimate recovery to a combination of good medical care and prayer, referring to the medical professionals who treated him as ‘God’s angels’. Everything changed in a matter of seconds Kruger says that apart from learning how to do CPR, parents and caregivers should always keep an eye on children and must know where they are at all times. She says on 15 October last year, she was looking for the then three-year-old Juandre all over the house, thinking he had to be inside, as all the doors were closed. When she found one door open, she immediately rushed outside, only to find Juandre floating in the swimming pool, unresponsive. When she shouted for help, their tenant immediately came to her rescue and helped her to . . .
Thousands of SA women silently suffering the devastating symptoms of untreated uterine fibroids Interventional radiologist Dr Gary Sudwarts has set himself the goal of raising awareness of the debilitating women’s health condition of uterine fibroids, which he believes warrants much greater attention and awareness than it currently receives. 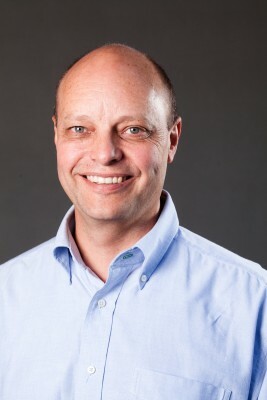 Dr Sudwarts, who practises at Netcare Park Lane Hospital in Johannesburg, as well as UCT Private Academic Hospital in Cape Town, has actively worked to bring non-invasive healthcare treatment alternatives to the large number of South African women whose lives have been negatively impacted by uterine fibroids. Dr Sudwarts and radiologist Dr Maja Wojno will be presenting a free lecture at a public workshop for women on uterine fibroids. During the workshop, the latest technological advances in the treatment of uterine fibroids will be shared. The doctors will also explain the micro-invasive technique of uterine fibroid embolisation, (UFE), which offers a highly effective treatment alternative for women who have developed fibroids. The hour-long lecture will be hosted on Thursday, 7 April 2016, at 18h00 for 18h30 at Hazeldene Hall, 22 Ridge Road, Johannesburg. Free and secure parking as well as refreshments will be on offer. “I find it disconcerting that in today’s times so many South African women are still silently suffering the devastating symptoms of untreated uterine fibroids,” says Dr Sudwarts. “It is also concerning that so many thousands of women in our country, some relatively young, are faced with the prospect of a hysterectomy because of the condition.” “Nowadays more and more effective treatment options are becoming available for women with severe uterine fibroids, and it is important that they be made aware of the alternatives that are now available to them,” he says. 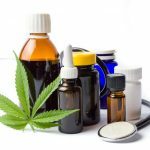 “Essentially, when symptomatic therapy fails, there are three main surgical options available to treat fibroids and the choice of . . .
Get a flu vaccination to guard against the most virulent strains Alarming statistics highlighting that flu and pneumonia are the leading underlying natural cause of death among the people of Limpopo have prompted a leading healthcare administrator and medical scheme to urge the people of the region to protect themselves against influenza this coming winter. 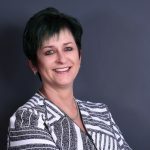 “The last three consecutive annual Mortality and Causes of Death in South Africa studies, conducted by Statistics South Africa, revealed that this common ailment and its associated complications are cause for great concern,” says Dr Jacques Snyman, Director of Product Development at Agility Global Health Solutions [Africa]. “The change in seasons often corresponds with an increase in flu cases, which can lay even the healthiest individuals low for up to two weeks and may result in dangerous complications, including pneumonia,” he notes. “People with underlying health conditions, such as heart or lung conditions, and immune compromised patient, including those who are HIV-positive or have cancer for example, may be more susceptible to contract pneumonia and even die of flu.” He asserts that getting a flu vaccine offers considerable protection against most flu strains. The Centers for Disease Control and Prevention in the United States corroborates this and recently confirmed that the vaccine meaningfully reduces hospitalisation and death rates, especially in at-risk patients. It also reported that vaccination is a cost-effective counter-measure to seasonal outbreaks of flu. “We therefore urge the people of Limpopo, and South Africans in general, to take precautions against spreading the virus and to consider having the flu vaccination. For most people, contracting flu is an unpleasant experience from which we recover within a few days or, at most, two weeks. However, children under the age of five, the elderly, HIV-positive individuals, diabetes and asthma sufferers, among others, may be at . . .